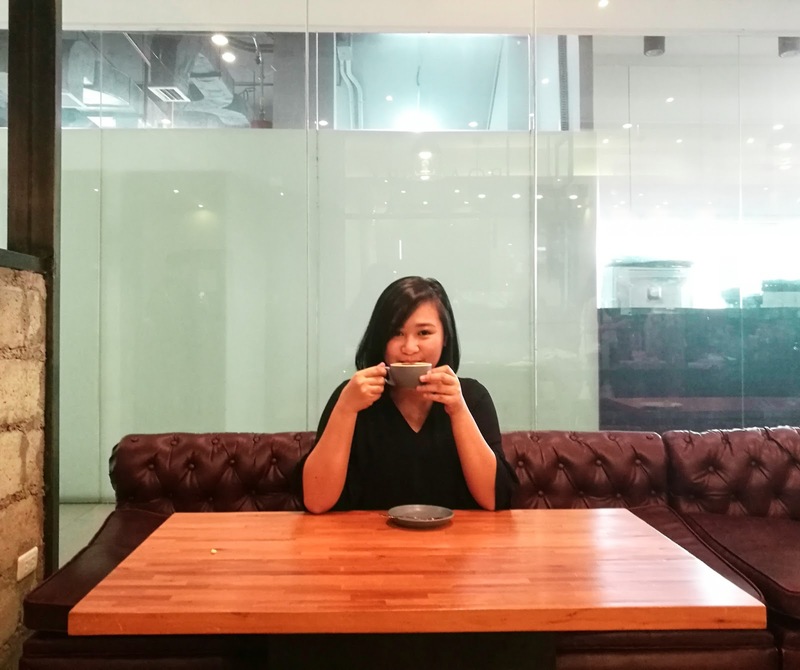 Coffee lovers go to coffee shops. Beer drinkers go to bars and pubs. If you drink both, then I have good news. What if I tell you, you can have both of these drinks in just one place, in one sitting (if you'd love that)? 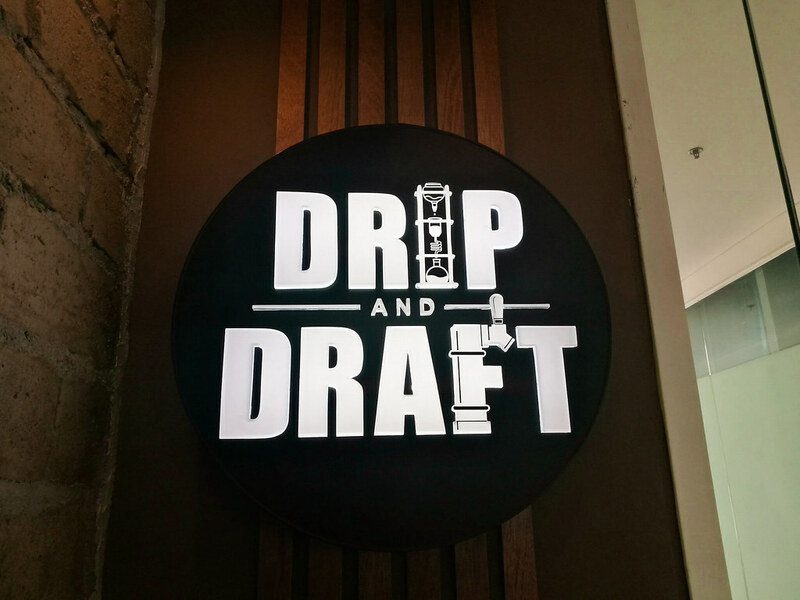 It's called Drip and Draft and it's located at the Streetscape Mall in Banilad, Cebu City. 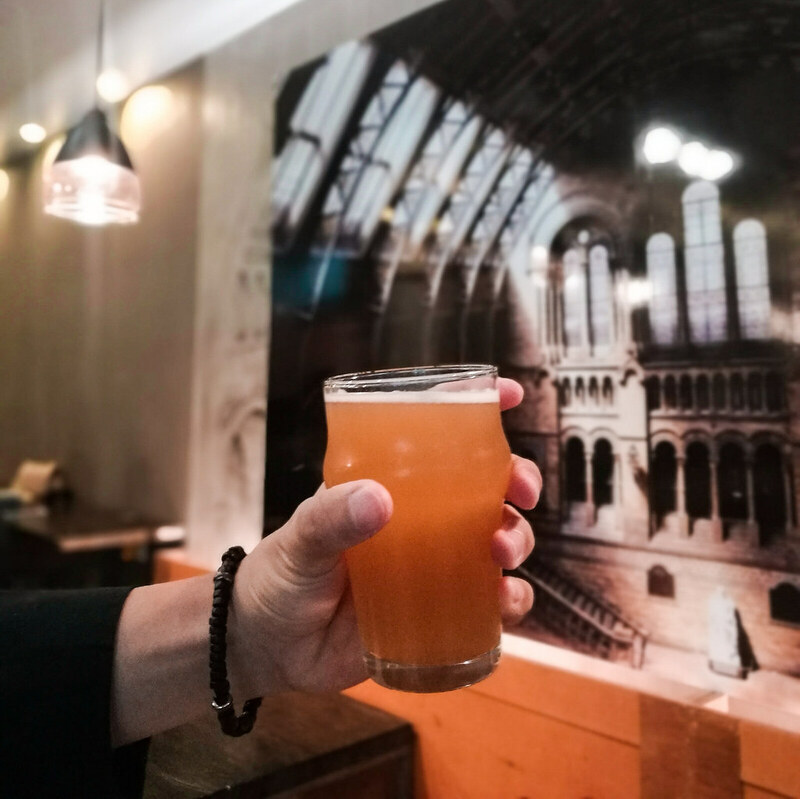 At Drip and Draft, there's no need to go to two different places to grab your cup of coffee and then a glass of beer next! 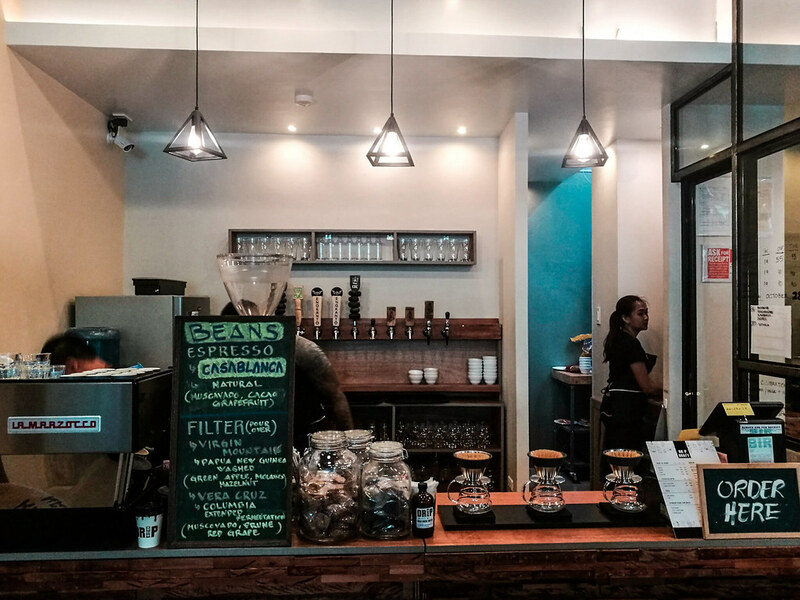 Drip and Draft used to be a small café in Harley-Davidson of Cebu, located at AS Fortuna Street in Banilad. Now, they have relocated to The Streetscape Mall on Paseo Saturnino in Banilad. With their relocation, they have expanded their specialty product list as well. They wanted to put together more specialty products that everyone can enjoy all in one place. 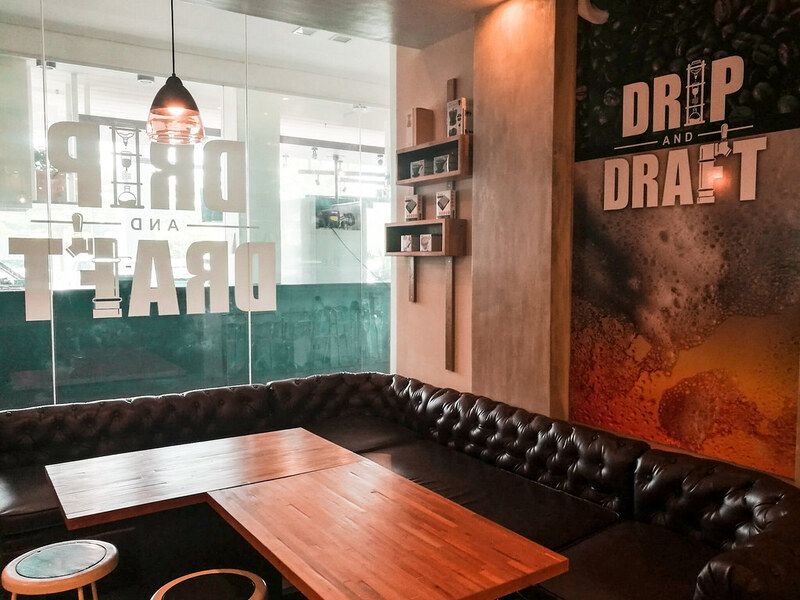 Being located at Streetscape, Drip and Draft is not the usual cafe that you've been to before because the ambiance is so cozy that it's perfect for those who want to drink their coffee and beer in peace. 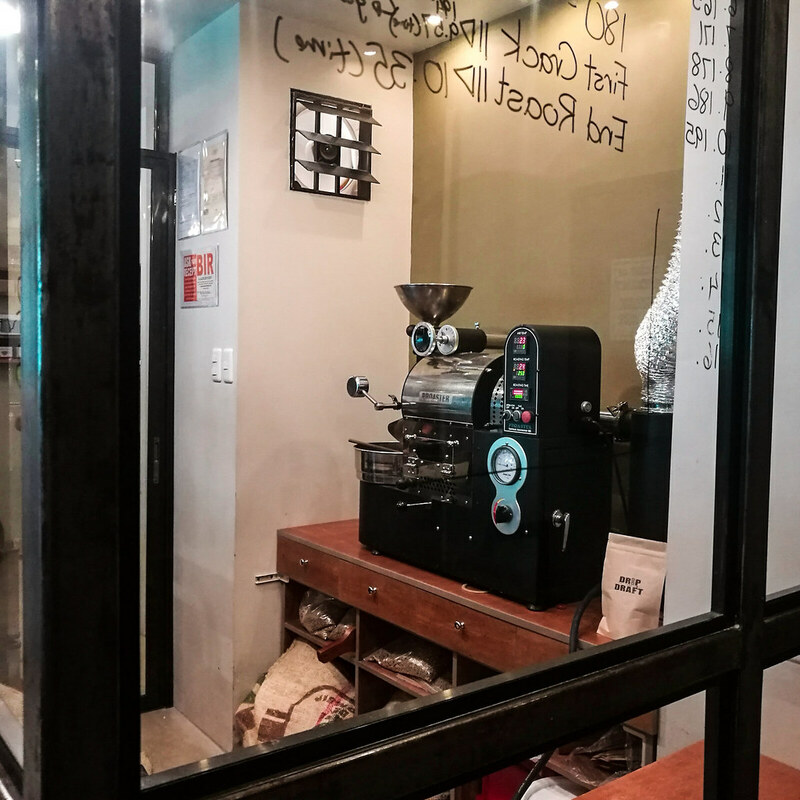 Upon entering the cafe, you can see a huge glass wall where you can see their coffee roasting machine. Here, you can witness how they roast the coffee beans in this Roastery section. 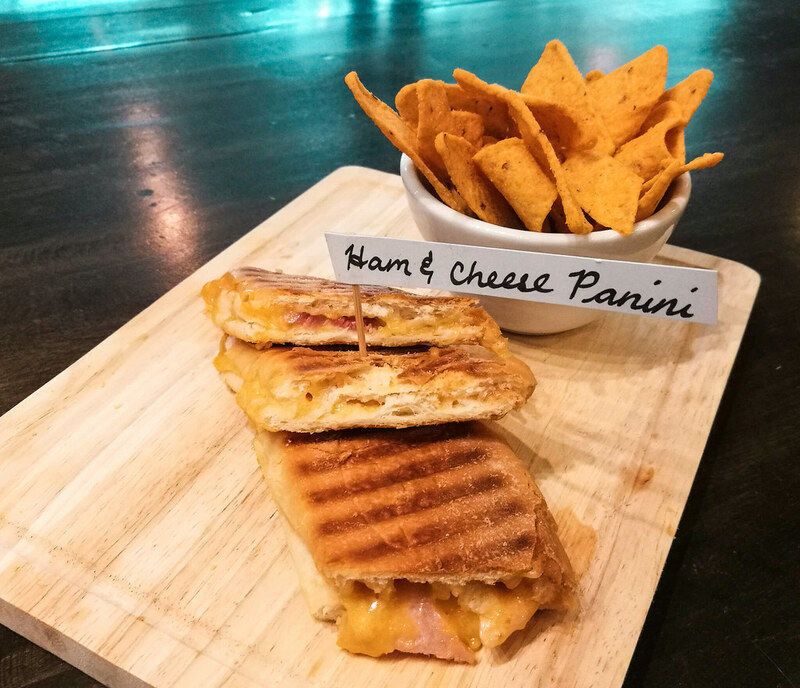 Drip and Draft has a specific selection of specialty coffee beans, filter coffees made through various brewing methods, espresso-based drinks, tea, cold brew coffee, cold brew tea, and carefully selected craft beers on tap. 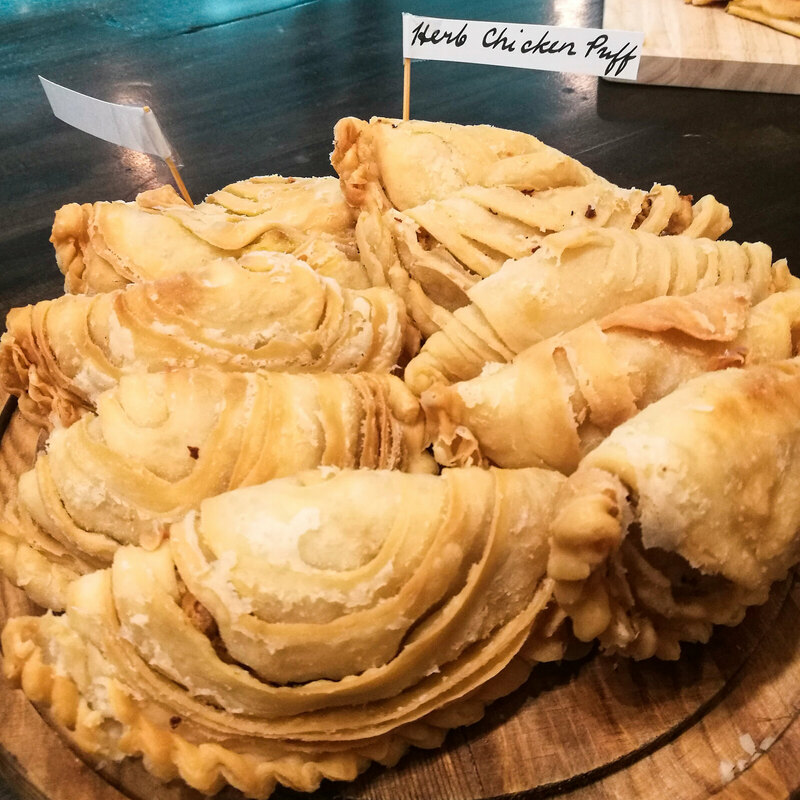 If you love pairing your coffee with food, they have various dessert, pastry, and snack selections too. 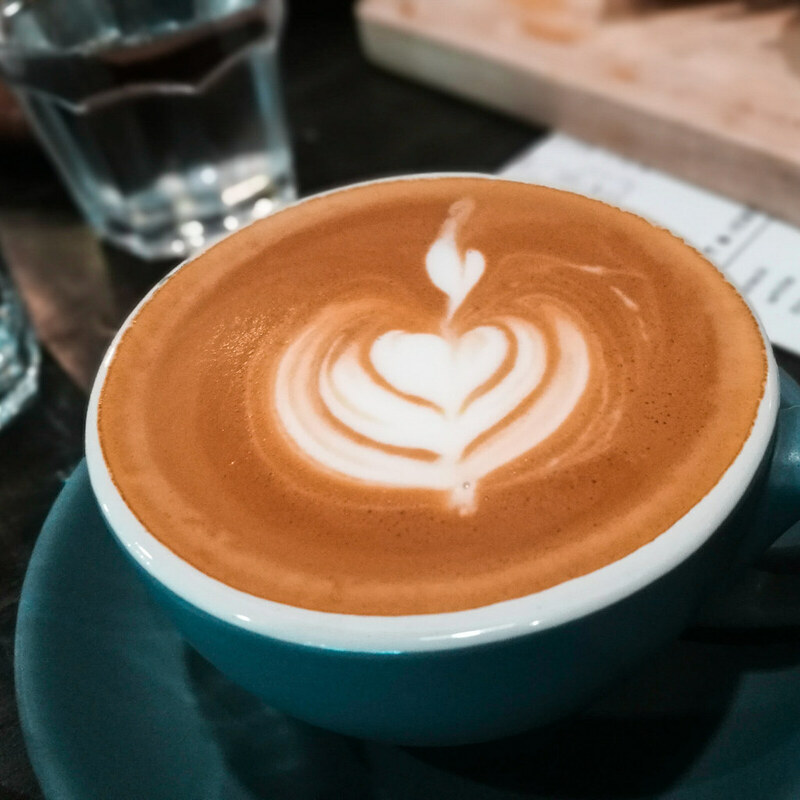 If you're not sure what to get, they have very friendly and accommodating baristas and staff to help you and make sure you're attended to. 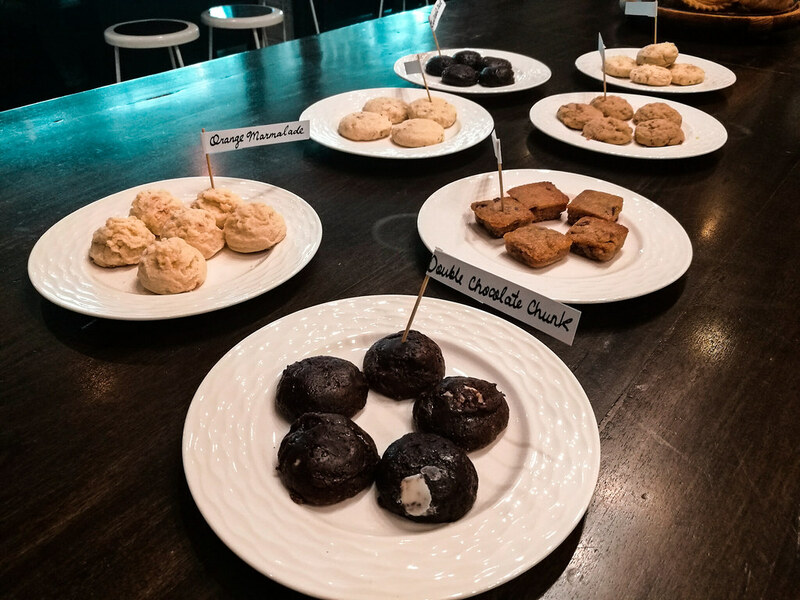 My first agenda was the desserts. I was so confused in deciding which coffee I would try but I was so determined to try their cheesecake of the day. They actually had two cheesecakes on that day but I chose the mango cheesecake. Mango forever! Haha. And guess what? It was the perfect choice. Their mango cheesecake was pure heaven! 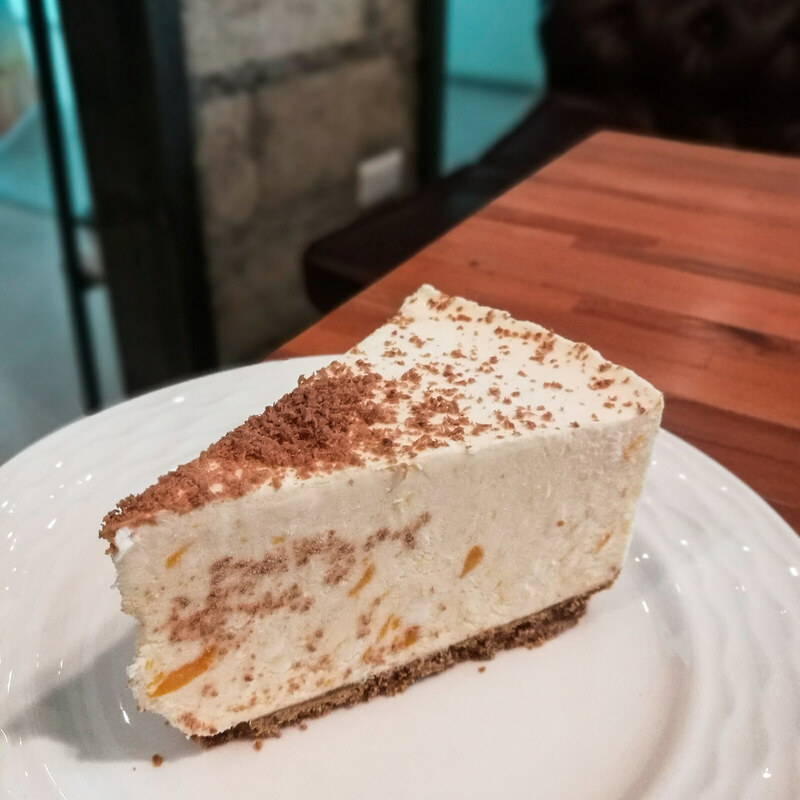 If you get lucky during your visit, get the mango cheesecake stat! 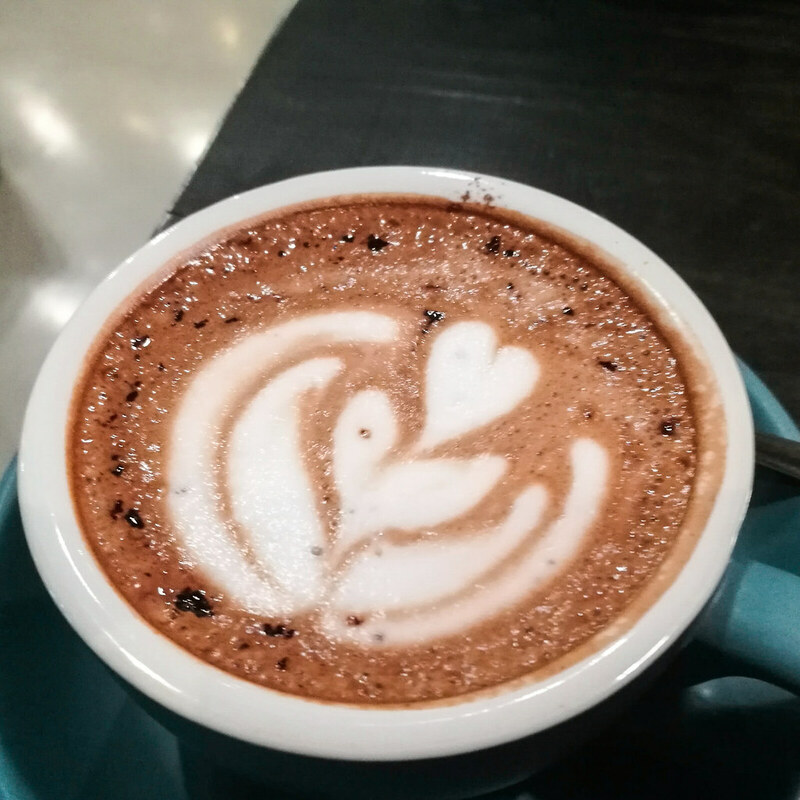 I ordered a cup of hot mocha and I fell in love with it. I'm not a regular coffee drinker (since I've been staying away from it for a while now) but that cup of mocha made me want to drink one more. It was strong and sweet at the same time. I also tried their hot latte and this one was much stronger than the mocha. It was delicious but it was just too strong for me. I like my coffee a bit sweet. LOL. I only took a sip of the beer and since I'm not a beer drinker, it was surprisingly quite good for me. At first, you'll get a bit stunned with the taste because the beer has quite a strong "kick". After the first taste has kicked in, you'll notice that it gradually gets sweet. 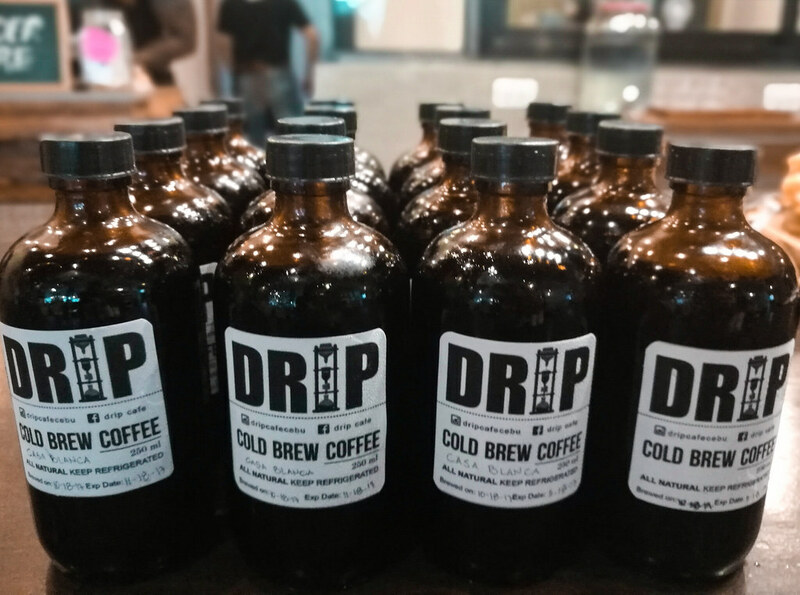 Drip and Draft has cold brew coffee and they're available in bottles that you can purchase to make coffee anytime, anywhere. It's perfect for people on the go. Just pour enough amount of coffee and drink it pure, or add some milk or sugar to suit your taste. Very convenient, right? And you know what's good about Drip and Draft coffee? I know that if you're a coffee drinker, you'll notice that some can cause hyperacidity. 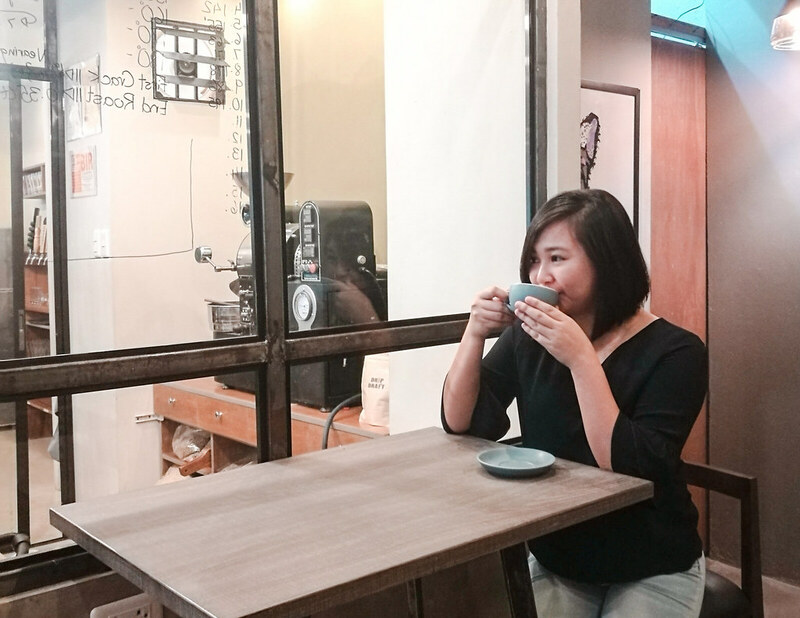 At Drip and Draft, they want to bring better coffee here in Cebu by providing healthy coffee. Neil of chefbuano.com tried their black coffee first to test it and after he finished one whole cup, he noticed that he did not feel any stomach ache even after minutes have passed since he finished his coffee. 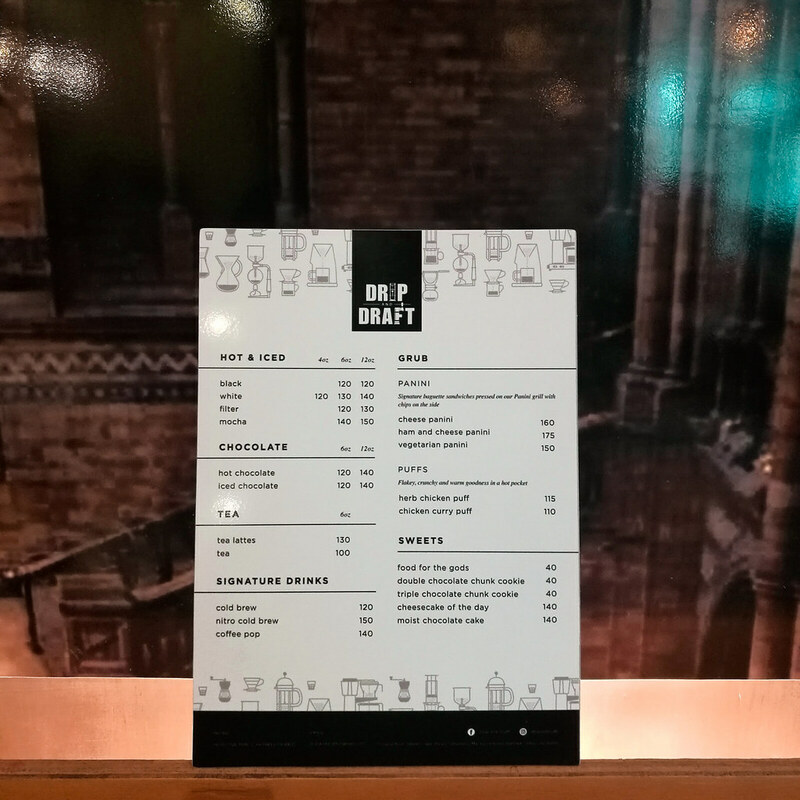 And to those who are curious about their menu, see photo below. You get high quality coffee, beer, and food for very affordable prices! What more can you ask for?